Col de l'Iseran (el. 2,770 metres (9,090 ft)) is the highest paved mountain pass in the Alps. 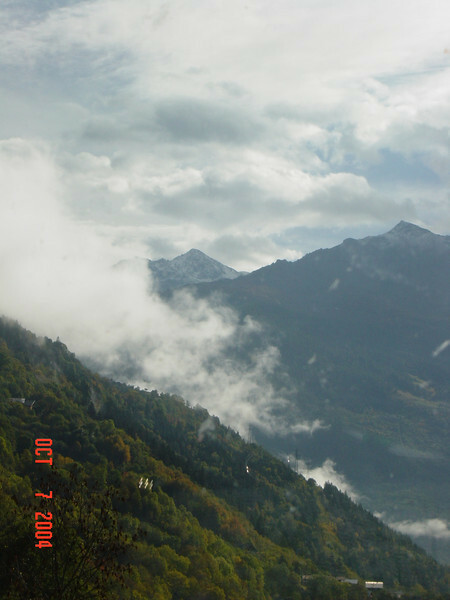 A part of the Graian Alps, it is situated in the department of Savoie in France near the border with Italy. It is crossed by the D902. The pass is part of the Route des Grandes Alpes. It connects the valley of the Isère and the valley of the Arc River between Val-d'Isère in the north and Bonneval-sur-Arc in the south. The north side of the pass road is well built with a number of galleries and tunnels, with a maximum grade of 12 percent. On the north, are the popular ski resorts of Tignes and Val-d'Isère. The pass is only accessible by road during the summer months. In the winter it falls within the Espace Killy ski area and is easily accessed by a series of pistes and ski lifts.